While the primary goal of the dental practice is to provide the highest quality patient care and the best patient experience – all while ensuring patient and staff safety – team members must be efficient, well-organized and competent in the completion of the tasks and duties related to the requirements and mandates. This creates a culture of standardization and calibration. The instrument processing protocols, how to prepare and turn over operatories, and hand hygiene are all examples of tasks that should happen like clockwork. What to dispose of – the where and how of waste management – is also one of those tasks. Dental team members who are unsure of the appropriate steps to take may be making costly errors that hurt the dental practice. Liquid or semi-liquid blood or other potentially infectious material (OPIM). Items contaminated with blood or OPIM, which would release these substances in a liquid or semi-liquid state if compressed. Items that are caked with dried blood or OPIM and are capable of releasing these materials during handling. The practice management team must be certain that dental team members are trained and have a clear understanding of how to separate regulated waste from nonregulated waste to ensure a purposeful segregation. The practice incurs a cost from regulated waste because it must be picked up and transported off-site by qualified waste hauler vendors; therefore, only items that are considered infectious should be placed in regulated waste receptacles (commonly known as the red biohazard bags or red biohazard sharps containers). 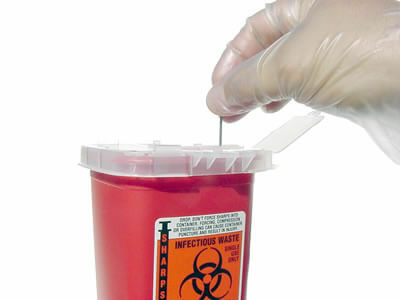 The CDC recommends that sharps containers be located as close as possible to the work area.1Accordingly, every operatory should have a red biohazard sharps container, which should be stored in a place inaccessible to small children who could mistake a red container for a toy or surprise box. The management of medical waste in a dental practice is a critical component of compliance to federal, state and local agency standards. Regardless of the practice size, all dental team members must be aware of what to dispose of, and how and where to dispose of it. 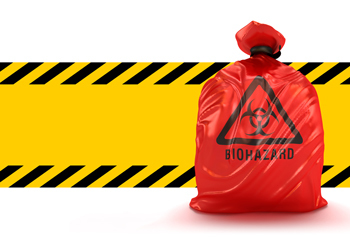 Otherwise they risk taking a haphazard approach to the disposal of hazardous materials, causing potential risk to patients and staff, as well as the environment. Centers for Disease Control and Prevention. Guidelines for Infection Control in Dental Health-Care Settings — 2003. MMWR 2003;52(No. RR-17). Available at: https://www.cdc.gov/mmwr/preview/mmwrhtml/rr5217a1.htm. Accessed November 18, 2018. U.S. Environmental Protection Agency. Medical Waste. Available at https://www.epa.gov/rcra/medical-waste#who%20regulates%20medical%20waste. Accessed November 18, 2018. Miller CH, Palenik CJ. Infection Control and Management of Hazardous Materials for the Dental Team. 5th ed. St. Louis: Mosby Elsevier; 2013;192-196. OSAP Interact Training System Workbook. OSHA and CDC Guidelines; Combining Safety with Infection Control and Prevention. 5th Edition; 2017. U.S. Department of Labor. Occupational Safety and Health Administration. Bloodborne Pathogens Standard; 1910:1030. Most frequently asked questions concerning the bloodborne pathogens standard. Available at https://www.osha.gov/laws-regs/standardinterpretations/1993-02-01-0#waste. Accessed November 18, 2018. U.S. Department of Labor. Occupational Safety and Health Administration. Bloodborne Pathogens Standard; 1910:1030. Available at https://www.osha.gov/laws-regs/regulations/standardnumber/1910/1910.1030. Accessed November 18, 2018. The unemployment rate is at an all-time low, and the war for amazing talent is at an all-time high. What can employers do to find the best fit for the position they seek? A client dentist recently told me that she was so desperate to fill the open dental assistant position in her practice that she hired the first candidate that applied, despite the “maroon flags” she sensed when she was interviewing and then processing through the employee’s 90-day trial time period. Maroon flags are when we justify a hire that does not meet all our requirements on a skill or personality level. The applicant does not quite give us the obvious red flag, rather adds in a mix of the cautious yellow flags or warning signs. Often, we feel in our gut something just isn’t right but we hire anyway, dismissing those feelings for fear of the unknown or that we might be overthinking the candidate’s potential. The candidate is very eager or aggressive about securing employment with your practice. The candidate offers openly negative discussions regarding a previous employer and environment. Use words in your job posting to describe your practice and the position that would attract what you are looking for, such as “growth-minded” or “fast-paced.” You want to sell the position. Great candidates are not just looking for a job, they are looking for a great fit too. Ask yourself if the candidates applying for the position are hungry for more? Are they teachable and passionate for growth in your business? Initiative cannot be taught. Ensure you have a system in place for true references, background checks, and interview processes prior to making an offer. Maroon flags are not to be confused with the red flag of a criminal or drug history, or simply an incapacity to do the job, it is something we can’t sometimes put our finger on. With the hustle and bustle in a dental practice, there is a continuing struggle around the referring process. It is easy for tunnel vision to set in once a referral need is determined. The doctor states a referral is needed, and the patient is dismissed to another team member. The focus is no longer just on the patient in the chair but also on the next patient waiting to be seen, running on time, and managing operations. 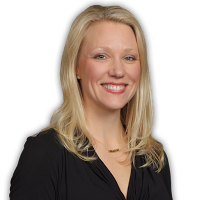 Look at it from your patient’s perspective: She is ushered out of the treatment room, handed a slip of paper and told to call a new, unfamiliar office — often without follow-up instructions. The patient leaves your office knowing she needs to do something to further her care. Often patients either fail to follow through with the recommendations, or they call to schedule and are confused with their specific need. If patients overcome those obstacles and have the treatment completed by the specialist, they often experience a lack of follow-up. Patients assume the general dentist’s team will be in touch to take the next steps, but usually, in our experience, there is no communication back to the general practice. When there is no communication, the patient then does not complete the necessary treatment and the likelihood of success drops. Patients are not aware that the two providers do not share records. When treatment is completed, we do not have a magic wand to wave to alert us to the patient’s treatment progress. Treatment falls between the cracks. The patient falls between the cracks. Often adequate information is not shared between the offices. If the referring practice’s team fails to send the referral, notes, and images to the specialist team promptly, then the specialist’s team must hunt down records. Seemingly endless calling and emailing between the offices asking for information becomes routine, and inefficiencies set in. The patient does not receive the best care, steps are missed, and care is delayed. In our experience, both offices vent their frustration and blame the other. When neither team takes responsibility for its part in the mutual patient’s care, then the doctor-patient relationship is broken. The relationship between the two offices is also broken. No one wins. Your patient needs to visit a specialist. Your team communicates with the specialist’s team members, informing them of the patient’s diagnosis. Your office then sends the patient’s images and provides the referring team a teledentistry appointment for the patient. Your patient and the specialist virtually meet via a teledentistry platform in your office. A live video consultation puts the patient at ease and creates a rapport between all parties. The patient leaves the referring office with the specialist appointment scheduled. Now both care teams are aware of the patient’s needs, enabling them to create a treatment plan together that best fits the patient’s needs. Once the patient receives the treatment, the specialist then communicates back to the referring team to inform of the next step and the general team continues the patient’s care as determined. The key is communication. Both doctors and their teams must be in continual communication with one another. Don’t just be a good specialist or a good referring doctor. When you close the gaps, you’ll be successful for your team, your colleagues, and your patients. It’s that time of year where everyone is making goals and excited about achieving them. Statistics show within 6 months of the new year, only 9% of those who make resolutions actually stick to the goals they make. 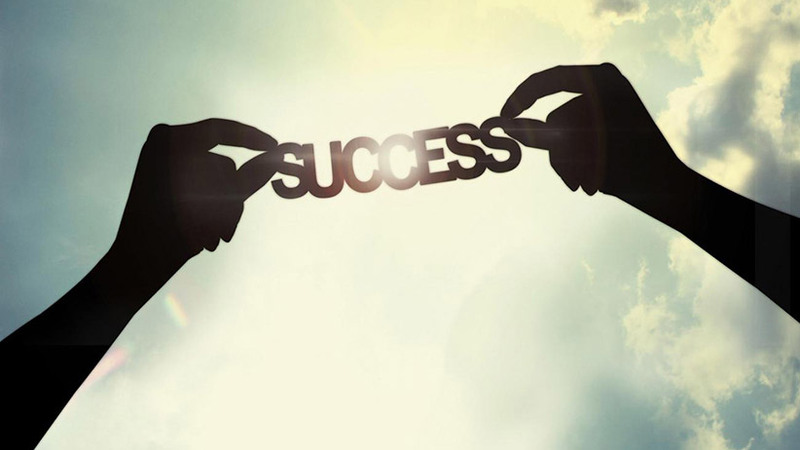 Many of us start the year off strong with goals to make new and better business connections. We look to align ourselves with businesses that share similar philosophies and modes of action. It makes sense to be attracted to growth-minded people that will drive business and assist potential mutual clients to success. What doesn’t make sense is when individuals want to connect for the purpose of pushing their home-based business product, or for the self-serving goal of gaining your hard earned network list. 1. What is the mutual purpose of making this connection? goals I am looking to accomplish? If there is any doubt on the intention of the new connection, simply ask them why they would like to connect with you. This question will help you make an efficient and advantageous decision immediately. 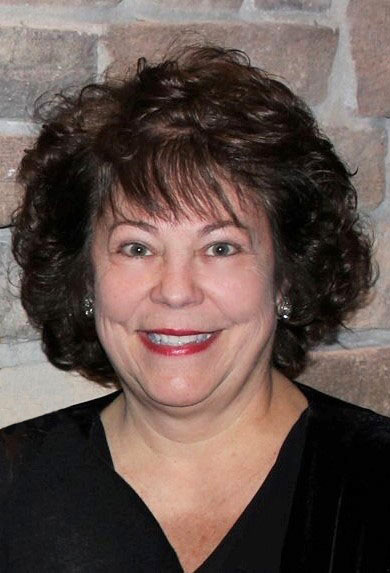 Custom Dental Solutions is pleased to announce that our Lead Administrative/Insurance Trainer has achieved the distinction of Fellow in the American Association of Dental Office Management (AADOM). 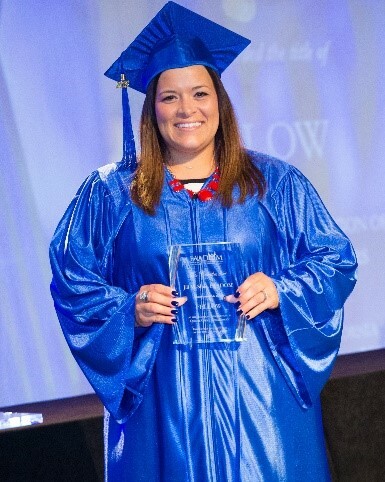 The Fellowship achievement recognizes outstanding professional and educational achievements in dental practice administration and is awarded only to those who have completed rigorous requirements set forth by AADOM. 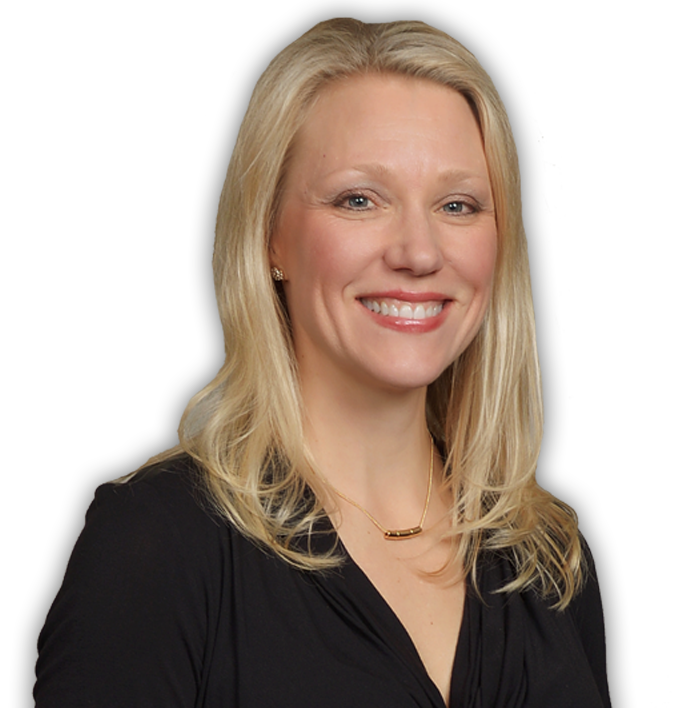 Our team will benefit from Jill’s extensive knowledge in leadership, dental insurance management and patient relations. The convocation and induction ceremony was held in San Antonio, TX on July 20th at the 14th Annual AADOM Conference. The American Association of Dental Office Management (AADOM) is an organization of professional office managers, practice administrators, patient coordinators, insurance and financial coordinators, and treatment coordinators of general and specialized dental practices. AADOM is the nation’s largest education and networking association dedicated to serving dental practice management professionals. For more information please call 732-842-9977 or visit www.dentalmanagers.com. By Dr. Katherine Schrubbe, RDH, BS, MEd, PhD. Compliance with CDC guidelines for reprocessing is vital to the safety of the dental staff and patients. 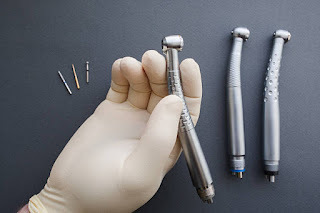 There seems to be a lot of buzz about dental handpieces these days. For whatever reason, the question of reprocessing these devices for patient use is once again a popular conversation in dental practices. Dental handpieces are medical devices accompanied by instructions for use (IFU). 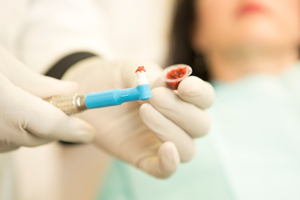 As discussed in a previous article, IFU are provided for medical devices and products in accordance with federal Food and Drug Administration (FDA) standards and provide information on cleaning, disinfection and 1 In any dental setting, IFUs must be strictly followed to ensure patient safety, as well as peak performance of the devices. Whether the organization is a DSO, a large group practice or a solo practice, there must be a sufficient number of instruments to serve the patient schedules in order to avoid shortcuts in reprocessing. sterilization of patient care items. Centers for Disease Control and Prevention. Guidelines for Infection Control in Dental Health-Care Settings – 2003. MMWR 2003;52(No. RR-17); 20. Schrubbe K. Instructions for use. Efficiency in Group Practice. Available at http://www.dentalgrouppractice.com/instructions-for-use.html. Accessed April 24, 2018. Centers for Disease Control and Prevention. Guidelines for Infection Control in Dental Health-Care Settings — 2003. MMWR 2003;52(No. RR-17); 20. Miller CH, Palenik CJ. Infection Control and Management of Hazardous Materials for the Dental Team. 5th ed. St. Louis: Mosby Elsevier; 2013; 122. Centers for Disease Control and Prevention. Summary of Infection Prevention Practices in Dental Settings: Basic Expectations for Safe Care. Atlanta, GA: US Department of Health and Human Services, Centers for Disease Control and Prevention, National Center for Chronic Disease Prevention and Health Promotion, Division of Oral Health, March 2016. Chin J.R., Miller C.H., Palenik, C.J. (2006). Internal contamination of air-driven low-speed handpieces and attached prophy angles. J Am Dent Assoc. 137(9):1275-80. Available at http://www.ncbi.nlm.nih.gov/pubmed/16946433. Accessed May 10, 2018. American Dental Association. Oral health topics; infection control. Available at https://www.ada.org/en/member-center/oral-health-topics/infection-control-resources. Accessed May 10, 2018. The Dental Student Network list of state licensing agencies. Available at http://www.studentdoctor.net/dental/state_boards.html. Accessed April 24, 2018. Centers for Disease Control and Prevention. Dental Handpieces and Other Devices Attached to Air and Waterlines. Available at https://www.cdc.gov/oralhealth/infectioncontrol/questions/dental-handpieces.html. Accessed May 10, 2018. Centers for Disease Control and Prevention. Statement on Reprocessing Dental Handpieces, April 11, 2018. Available at https://www.cdc.gov/oralhealth/infectioncontrol/statement-on-reprocessing-dental-handpieces.htm. Accessed May 10, 2018. Administration. Reprocessing Medical Devices in Health Care Settings: Validation Methods and Labeling Guidance for Industry and Food and Drug Administration Staff. March 17, 2015. https://www.fda.gov/downloads/medicaldevices/deviceregulationandguidance/guidancedocuments/ucm253010.pdf. Accessed May 10, 2018. Vavrosky K. 5 infection control mistakes you may be making and not even realize. Dental Products Report, July 11, 2016. Available at http://www.dentalproductsreport.com/hygiene/article/5-infection-control-mistakes-you-may-be-making-and-not-even-realize?page=0,1. Accessed May 10, 2018. 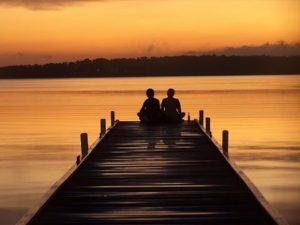 There is an old song that goes like this, “sitting on the dock of the bay wasting time…” Although sitting on the dock of the bay relaxing and enjoying the quiet is truly needed in our lives; “wasting time” is a great way to get to stuck in your personal and professional life. There are a multitude of people who talk about moving forward, desiring to act upon their goals, but never get “there” because they are stuck sitting on the dock, and wasting a lot of time. 1. Consider your schedule: Are you busy reacting to busy-work, or are you productive with goal accomplishment? 2. Evaluate your need for “dock-time” are you using too much of it to avoid feeling overwhelmed, and therefore creating laziness and a feelings of imposter syndrome? 3. 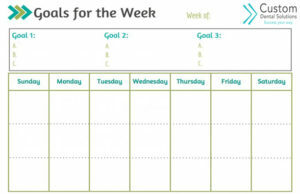 Create active daily and weekly goals and be accountable for them. Write them down to ensure better successful outcomes. Organize your schedule into time periods of accomplishments, allowing for achievement and relaxation. There are several great resources out there to help you begin a life of productive habits. A couple of my personal favorites: “The Miracle Morning” by Hal Elrod and “Train your Brain for Success” by Roger Seip (particularly the 2-hour solution section). Now go! Get off the dock! What is preventing your Success? Are you finding yourself asking why you are not as successful as you want to be? The difference between successful people and unsuccessful people is the reaction to what happens around them. 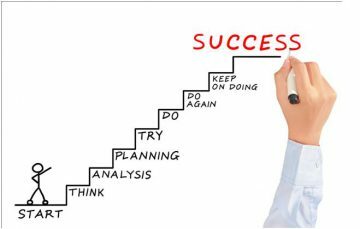 Successful people are always moving forward, prepared for any action. Unsuccessful people have no plan and simply react to the circumstances around them. Surround yourself with successful people in successful environments and eliminate distractions. Become accountable to a trusted adviser to ensure you finish what you start. What is your plan? Be excited as you enjoy the journey of success!